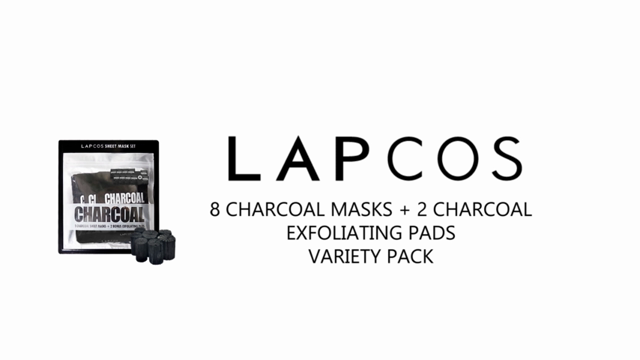 This kit includes 8 of the Charcoal daily sheet masks, plus 2 bonus charcoal exfoliating and cleansing pads. The sheet mask and pads are soaked in charcoal essence, which extract, exfoliate, cleanse and treat the skin. Charcoal is a wonderful natural ingredient that can alleviate multiple skin ailments, and maintain a healthy glowing complexion. Size per Product: The Charcoal Sheet Mask x 8 / 0.84 fl. oz. / The Charcoal Exfoliating & Cleansing Pad x 2 / 0.24 oz. Charcoal has many natural benefits for the body. We use it on our skin and even teeth. Activated charcoal is the kind of charcoal that absorbs faster into the skin. Charcoal works wonders, to extract dirt, bacteria, chemicals, and oils from your face, stripping the skin of acne-causing elements. When mixed with our gentle sheet mask formulation, the charcoal works well for cleaning out pores, naturally exfoliating the skin, and removing dirt, oil, and bacteria, leaving your skin feeling cleansed, exfoliated and brightened. Charcoal powder works to pull environmental pollutants and toxins to the skin's surface so it can be washed away. Oryza Sativa is an extract from rice. It has antioxidant properties that have short and long-term hydrating benefits for the skin. It is a natural exfoliate, and non-toxic. This balances out the extracting properties of charcoal. Glycine Soja Seed Extract improves the appearance of skin, increases elasticity, and locks in moisture. It also has natural amino acids, proteins, vitamins, and minerals. This also balances out nicely with the charcoal. Use your regular face cleanser to prep your skin, and remove any makeup from your face. Take the first side of the pad to cleanse the skin surface. Gently target key areas such as the forehead, nose, and chin. In a gentle circular motion, work your way through the entire surface of your face. Once you have cleansed with one side, flip the pad and begin to do the same thing on the exfoliating side. You will notice some white pieces come off from the face. Do not worry, this is normal and part of the process. After gently swabbing the entire face area with both sides, gently rinse the face of any product left from the cleansing pad. It is recommended that right after exfoliating and rinsing, apply a sheet mask to better absorb the benefits from the sheet mask. To better absorb the full benefits of the sheet mask, it is recommended to apply it right after exfoliating and toning your skin. Open up the sheet mask and fit gently aligning with the holes for eyes, nose, and mouth. You also can use the extra essence on your neck, chest, and arms like so. Relax, and leave the mask on for 15-20 minutes. Remove the mask from the bottom to the top. You can pat the remaining essence with the tips of your fingers into your skin. You do not need to wash off or rinse your face after using the mask. Let all of the essences absorb into your skin to see the benefits of the product. give you the tools to be more beautiful, inside and out.